When you are entertaining friends, show them you care by placing out fine Irish Linen Beverage Napkins. 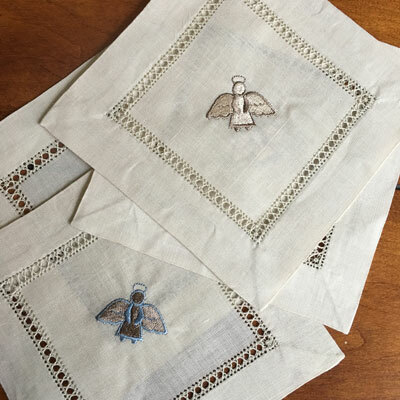 This set of Blue and Taupe Beverage Napkins are adorned with Angels. Each napkin measures 6" x 6" and is made of 100% fine Irish Linen.